Direct current is a bit easier to understand than alternating current. 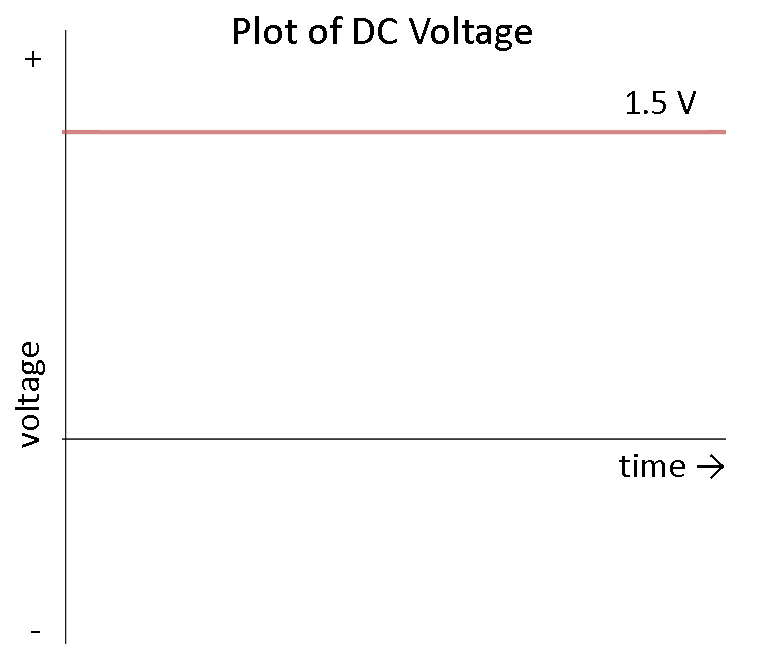 Rather than oscillating back and forth, DC provides a constant voltage or current. Using our water analogy again, DC is similar to a tank of water with a hose at the end. The tank can only push water one way: out the hose. 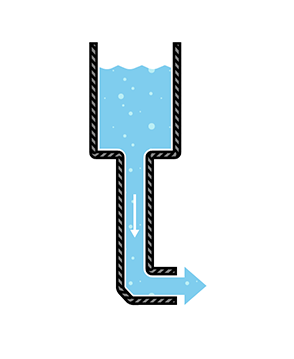 Similar to our DC-producing battery, once the tank is empty, water no longer flows through the pipes. What does this mean? It means that we can count on most DC sources to provide a constant voltage over time. In reality, a battery will slowly lose its charge, meaning that the voltage will drop as the battery is used. For most purposes, we can assume that the voltage is constant.